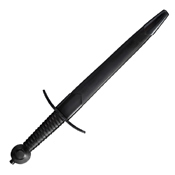 The MAA Arming Dagger is a scaled down version of its companion sword. With the same materials, fittings and finish, it’s essentially a smaller sword! 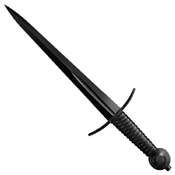 An excellent companion blade or offhand parrying tool, it also makes an attractive stand-alone dagger that’s sure to turn heads when worn on your belt!